Avanti Schools are non-fee paying, co-educational schools. 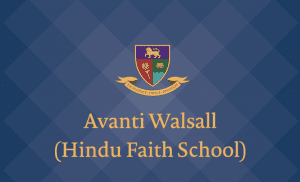 Currently the Trust operates Hindu Fatih Schools, however upon conversations with the DfE, the Trust is applying for non-denominational schools in the DfE’s Wave 13 for free-school applications. We are currently applying for these through the Department for Education and will update this website and our Facebook page with more information as we get it. The information on this web page is intended to give communities an idea of the proposals including the curriculum, ethos and inclusivity. Each of our schools whilst underpinned by the same principals of Educational Excellence, Character Formation and Spiritual Insight will of course be unique and meet local needs. We plan for these schools to have a nursery provision, 3 and 6 forms of entry at Primary & Secondary phases respectively as well as a sixth form provision. 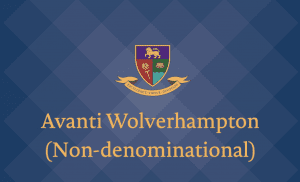 We are looking for families with children under the age of 18 or are expecting to have children in the near future to express their interest in being part of an Avanti School in the following locations; Leicester, Walsall and Wolverhampton. 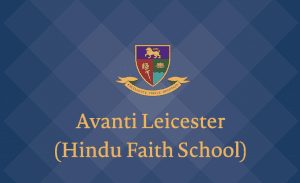 Avanti Schools are based on our three pillars; educational excellence, character formation and spiritual insight. We promote holistic, responsible lifestyles through a vegetarian diet, a curriculum that integrates yoga and meditation and a built environment that actively fosters environmental concern. Pupils are nurtured and cared for in a way that builds the foundation for their high academic achievement, exemplary character and wholesome sense of identity, set within an open and inclusive school. At our school, we want pupils’ experiences of education to be enjoyable and engaging. We expect all members of the school community, parents, families and staff, to work collaboratively with high aspirations and expectations of everyone, consistent with our values and ethos. Our broad and balanced curriculum follows the National Curriculum and is enriched with educational visits, yoga, meditation, a unique Philosophy, Religion & Ethics course (in the Hindu faith schools). Not only does the curriculum challenge all children, it intends to provide memorable and meaningful experiences realised by well planned, differentiated and creative planning and high quality first teaching. Avanti will seek to make the school a hub for the local community. The key is often being able to draw the community into the school (through various events and projects) but working with the community and local charities. Our secondary students are often seen volunteering at community-based activities or putting on activities for the wider community. Experienced in providing courses for the community in Dance, Drama, Mindfulness, Self-development, sports and children’s weekend and holiday activities. Students benefit from an extensive enrichment programme. 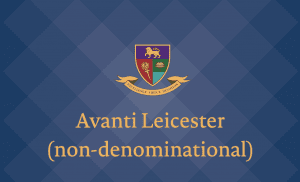 The Trust has developed an in-house team to focus on high quality provision of enrichment activities (in the form of after school and lunch time clubs) to students across the Avanti schools. Magic Spark, part of the Avanti Group, provides LAMDA training and qualifications for children across the Avanti Schools. This allows students to develop confidence, speaking and theatre skills. In addition, the schools offer a variety of competitive sports, subject-related clubs and other activities like chess, debating, robotics and others. Pupil premium funding is used to give the accessibility to enrichment opportunities to all students, allowing them to flourish and develop a broad range of skills before leaving the school.